With the holiday season approaching, everyone is on the lookout for gifts ideas for their loved ones. If you have a loved one who adores their Apple product, this is the perfect opportunity to get them something that will make them go ‘Wow’. The best part about owning an Apple product is the large number of accessories to choose from. If you know people who own apple products, you’ll probably know how much they love their accessories. We have tried to collect some tech gift ideas which will be a perfect gift for friends and family who is a big Apple fan. Apple sells a wide range of products from Apple Watch to MacBook Pros. So we have a wide selection of accessories which can be gifted this holiday season. Make the most out of Apple’s repertoire of interesting new tech gifts for the holiday season. Here are some of the best tech gift ideas which you should consider. Do you know who owns an iPhone and loves fancy décor and lightings? If yes, this is the perfect gift for them. This is a collection of light panels that you can fit on a wall. You can customize every panel to display a light of your choice. 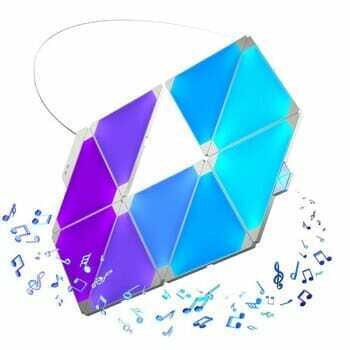 The best part of these lights is their ability to detect music and dance to its rhythm. It’s perfect to amp up the style quotient of a room and as magnificent as an aurora! The icing on the cake is that you can control it by your iPhone! It is compatible with HomeKit and can be easily controlled by any of the Apple devices. This makes it one of the best tech gift ideas for an Apple fanatic. You can also connect it easily to other home automation platforms and extend it with the help of extension kits. One of the best gifts for an Apple Fan is an Apple Product, isn’t it? The new Apple Watch will make a wonderful companion of any of the existing Apple products they will have. It can also act as a fitness buddy for your loved ones with the help of so many fitness apps. The new watch has a much better screen size with the reduced bezel and got a new faster processor. It also got the new upgraded heart sensor and the ECG capability. 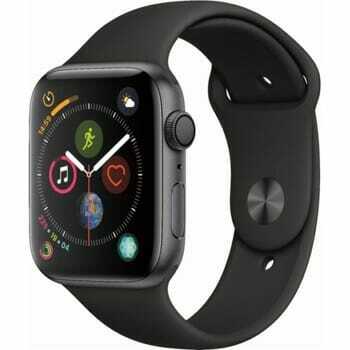 This can be one of the best tech gifts for the people who love their iPhone as Apple Watch extends that experience on the wrist. Like its predecessor, this is also waterproof and you can swim with it. 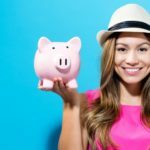 The only issue is the price as it is a little expensive but if you have the budget then go for it. If you know someone who has the newer versions of iPhones you probably have heard them babbling about its wireless charging. For these people, a charging table is the best tech gift idea. 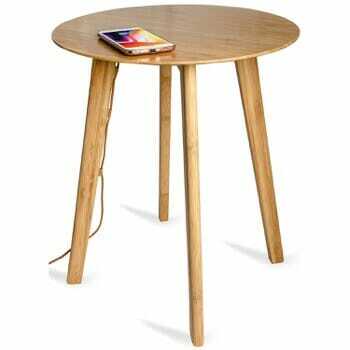 The table from Fonesalesman is made of beautiful bamboo which increases the aesthetic appeal of the room, and also has a wireless charging port. To charge an iPhone you simply have to keep it on the table! The charging point is marked with engraving which can be used to identify the place to put your iPhone. Just place the table close to your bed or any accessible place to easily charge your new iPhone XR or XS. You can also use the charging table with any other Qi Wireless charging a compatible smartphone. Apple has talked about AirPad Charging solution last year but we are yet to see that product in the market. This 4-in-1 stand is not equipped for wireless charging but still serves the purpose of handling multiple Apple products. 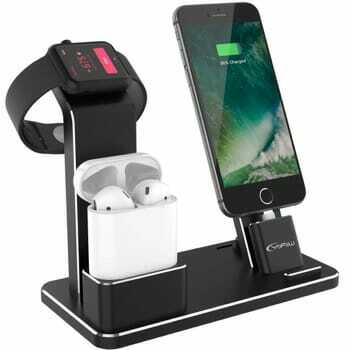 You have to attach your chargers but this stand can hold Apple Watch, AirPods and iPhone together and charge then. It comes with two charging cables which can be used to charge AirPods and iPhone. You can get this stand in three different color – Black, Gray, and Silver. So go ahead and match it with the iPhone or Apple Watch color. It is a good gift for anyone who owns multiple gadgets from Apple and looking to organize them properly. Just place this stand at a proper place and you will always find your gadgets in your home. 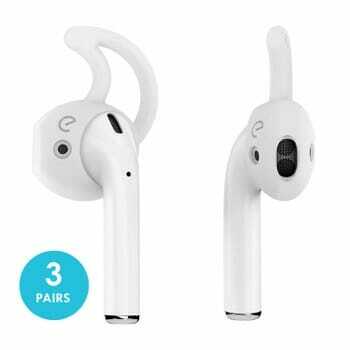 If you are looking for an easy to use item, EarBuddyz is an economical and convenient gift for AirPods owners. Since the AirPods launch people have a fear of wearing them in crowds, what if they fall? 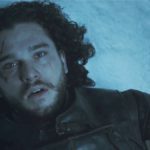 A hard fall can mean a lost or broken AirPod which needs to be replaced. Single AirPod replacement costs around $70, so it makes sense to take extra precaution while wearing it in crowdy places. EarBuddyz is made of silicon and will provide additional grip for the AirPods in the ear. You can easily take it off while storing your AirPods in the case. You can get them in four different colors to match it with other accessories. These can be a good gift option if you are tagging them along with any other thing. So if you are creating a customized gift box, opt for these EarBuddyz Ear Hooks for AirPods. If you are looking for a gift for the person who loves their MacBook and spends a lot of time on it, this laptop stand will be a perfect choice. 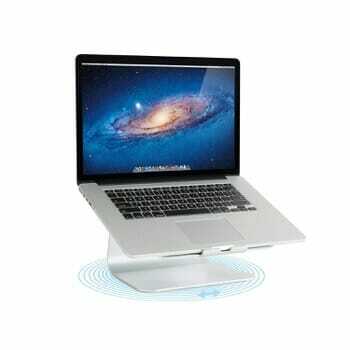 This laptop stand comes with a patented design which can rotate 306-degrees to provide easy access to complete laptop. You can easily access all ports or share screen. 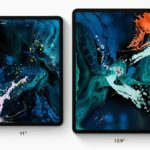 Raised screen level will make it easier to work with MacBook. Tilt design and aluminum body will keep your Macbook closer and cool. It also has a wire organizer which can easily manage all your wires and hide them from the view. You can but this in three different colors to match your MacBook. So go ahead and buy this gift for MacBook lovers and surprise them with the ease of working with this stand. 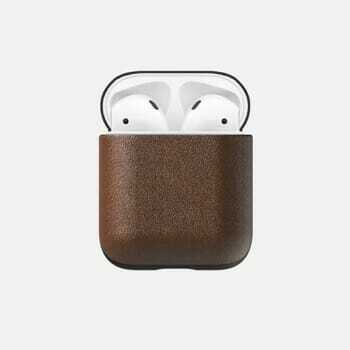 This rugged leather case along with above mentioned EarBuddyz Ear Hooks can be a complete gift for any AirPods lover. A perfect two-piece construction which snuggly fits your AirPods case and protects them from any kind of damage. The case is made of pure leather which will develop a rugged patina over time. It will give it a good natural look to your AirPods. This can be a good case if you are already using any of the NOMAD leather cases for your iPhone. This way your AirPods perfectly compliment the iPhone you are using them with. You can get this case in two different colors – Rust Brown and Black. Rust Brown being my favorite as it gives a good leather feeling. This is probably the most utilitarian and hence the best gift idea for an Apple fan. 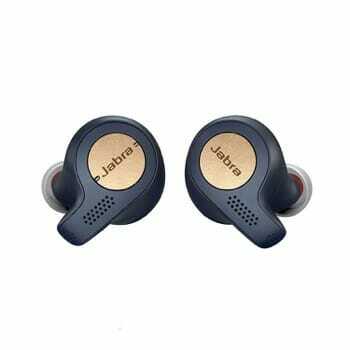 Jabra Elite Active Wireless earbud is one of the good accessories for iPhone. It is for the people who like to the concept of AirPods but does not like the hanging wire design of it. These wireless earbuds give 5 hours of play time and like AirPods, the case can recharge them easily. You will get a total of 15 hours of play time including case batteries. 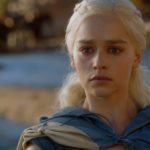 You can invoke Siri or Alexa direcly and use voice commands to control your phone. So If your loved one doesn’t already have a good quality sound system, this would be perfect for them. These earbuds are portable, waterproof, exceptional-quality Bluetooth speakers. Apart from this, they are super stylish too. This is simply one of the best iPhone compatible earbuds out there, and hence one of the best tech gift ideas for an Apple fanatic! A short battery life might be the only part that annoys iPhone users. Get your Apple Addict a power-packed portable battery and they’ll never run out of batter. 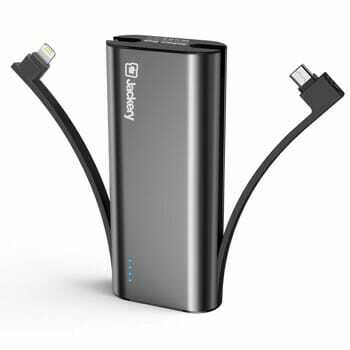 The Jackery Bolt battery pack comes with a lightning cable and a micro USB cable. This enables you to charge two devices at once. With this, you can charge your iPhone two times! Have you ever seen you iPhone die right in the middle of calling an Uber during a dark, rainy night? This gift will not only keep your loved ones’ from getting into such situations, but it will also enable them to charge their phone on the go! You will also get a 24-month worry-free warranty from any manufacturing defects with this power bank. The holiday season is a time where family and friends celebrate good times together. But sometimes you need more than digital pictures to capture the essence of the holiday chirp. If your loved one is a person who loves print photographs, the Lifeprint 2×3 Portable Photo Printer is perfect for them. 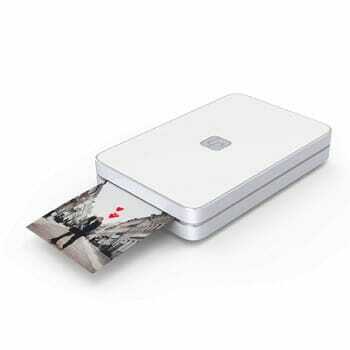 It is a small and stylish mobile printer using which you can print tiny photos on the go! It connects to iPhones to capture and print all your favorite moments on 2″ x 3″ photos. The app also has a feature that allows you to bring your photos to life with augmented reality. No wonder this is a perfect Holiday gift. Do you know people who have stood in lines for hours to get their new iPhone, who treasure every old Apple device they’ve ever owned and who are defensive of Siri? If yes, here is the perfect gift for them. Despite being a non-tech gift item, it offers tremendous promise. Apple has released a book this year that’s sure to gain popularity among people who appreciate the company’s approach to product design. It has 450 photos of every Apple product that has ever been made between 1998’s Bondi blue iMac and the latest release. 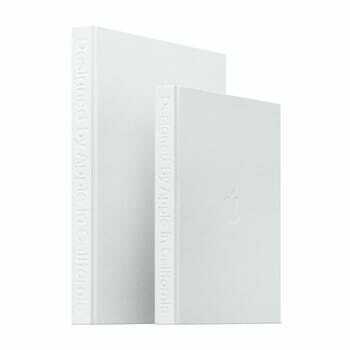 The hardbound collector’s volume comes in two sizes, a small one and a big one. You can buy it at any Apple store, or online at Apple.com. There are tons of gifting ideas for Apple lovers out there. You just need to gauge what your loved ones like best and you’ll certainly find something amazing for them. It’s alright even if you don’t know their tastes very well. 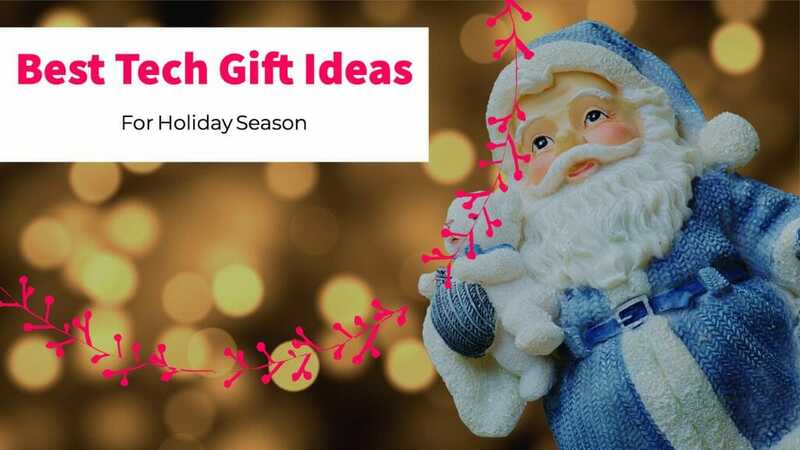 By gifting an Apple lover a portable battery pack or a pair of touchscreen gloves, you can never go wrong. So, choose from the wide range of Apple accessories and tech gifts for your family and friends and spread lots of joy this holiday season!